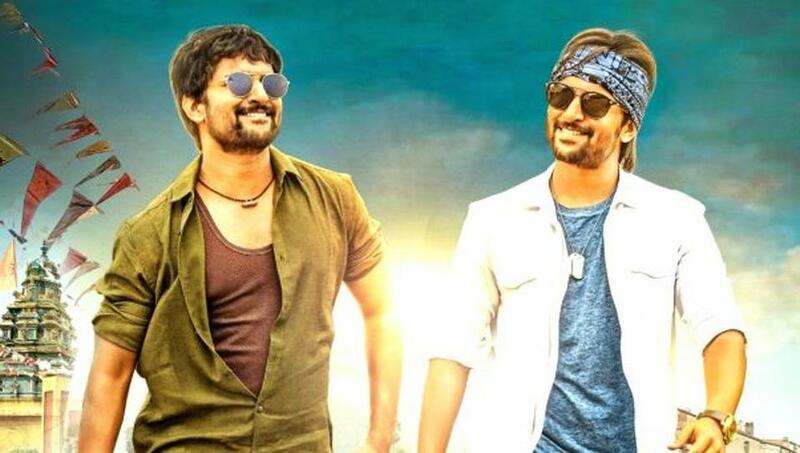 Nani's success already began a long time.The hero Nani movie 'Yevade Subramanyam' came into prominence in 2015.The next 'Bhale Bhale Magadivoy' was a sensational success.Nani's hat-trick wins were completed with the advent of 'krishnagadi veera premagada'.Even after that, he did not go down anymore.Gentleman, Majnu, he have completed another wins hat-trick with local films.There are two more hits in the form of 'Ninnukori' and 'MCA'.In this way, the hero of the series has woked up with eight successive victories.Tomorrow is the ninth film to come.That is the battle of Krishnaarjuna . With mythological title coming,It is social cinema.Commercial entertainer.If the film is hit, Nani will be the ninth succession.Making the triple hat trick of heroes.Director Merlapaka Gandhi is also in good form. 'Venkatadri Express'The director who has proved to be with 'Express Raja' is now to see what kind of hit with Nani. Nani is full of confident about the success of the film.